The Mid-Hudson/ Catskill Rural Women's Assembly will take place on December 15th, at the Eleanor Roosevelt Center at Val-Kill in Hyde Park. 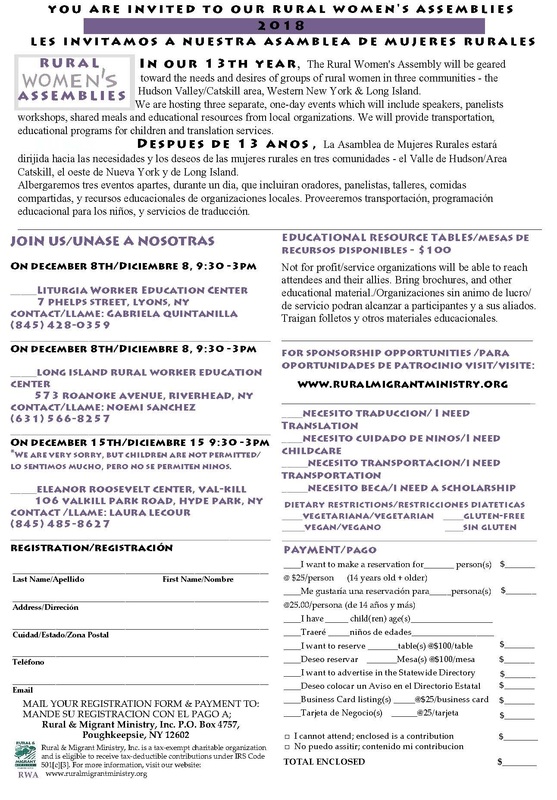 Please contact Juanita Sarmiento or Laura Lecour for more information. You can register online or using the pdf at the bottom of this webpage.